A fun and funny Christian romance. I don’t read this genre regularly, so I’m not a good one to judge, but Kinnard seemed more successful at creating engaging characters and a believable plot. Most Christian romances fall short on both counts. As is typical of this genre, everything is so sweet and innocent, it presses credibility. Even the “bad” guys turn out … well, redeemed. “Ray Gun”? The protagonist pastor writes science fiction on the side. Quibbles: Would a publisher assign an inexperienced editor to the author of one of his more popular series? And, C. S. Lewis did not pen, “I read to know I’m not alone.” That is a line spoken by him is the biographical fiction movie, Shadowlands. A pleasantly twisted police procedural set in the Peak District of England. If you have any inkling you might read this book, I suggest you to read none of the reviews or summaries readily available—including this one—because they will diminish your reading pleasure. If you’re still with me, I said the preceding because I did read some of those reviews and they spoiled the story for me. Since you won’t be reading the book or you wouldn’t be reading this (you are following my advice, aren’t you? ), I’ll tell you why. 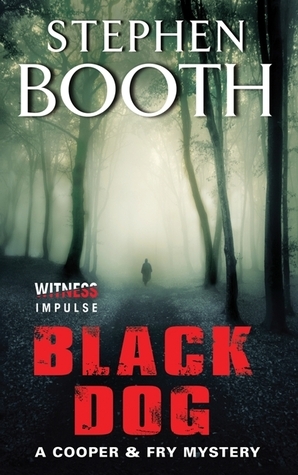 Booth writes with the classic nineteenth-century omniscient narrator style, which take the reader deep into the thoughts and feelings of each character. He does it well. More important, we find ourselves overhearing the thoughts of several characters about each other. And, of course, they’re wrong. Oh, Booth doesn’t tell us; he shows us. I don’t normally read police procedurals, but I enjoyed the storytelling of this one. Perhaps you will, too, but you won’t know I said that because you’ve already stopped reading this review, didn’t you? The Kendricks’ Christian films keep getting better. Their fifth effort surpasses all their previous works in both production quality, acting and script. Christian drama, like Christian fiction, has been faulted for unreality and syrupy sweetness. War Room suffered from neither. This film (set like the preceding in North Carolina) blazes new casting territory for the Kendricks in featuring blacks as principals. Christians and seekers will both find an honest portrayal of the stresses and troubles of modern life and a biblical approach to dealing with it. If you don’t know a Miss Clara, you should. The opening matinee was well-attended, though the median age was probably 65. Spontaneous “Amens” and “Preach on” were heard during the showing as well as a round of applause at the end. Double Dutch jump rope is a team competition sport? Impressive! 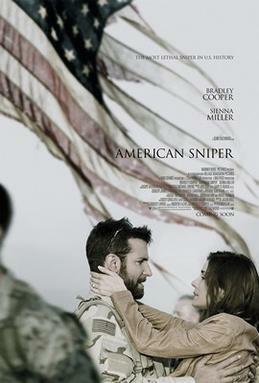 If you only see one movie this year, see this one. Addendum: After several days of reflection, I realize this review falls short in two ways. First and simplest, at the technical level War Room is not a Hollywood production. It lacks the big names and special effects—not to mention big budget—of major studio productions. That said, its cinematic quality compares favorably with the best independent releases. Second and more fundamental, War Room depicts a depth of reality with which many viewers may be unfamiliar. That a supernatural dimension (for want of a better word) exists is essential to understanding of this movie. “I suppose it is tempting, if the only tool you have is a hammer, to treat everything as if it were a nail,” Abraham Maslow is purported to have said. The same might be said for Dr. Sehat’s a priori thesis that the American political system is whatever we make of it; hang the Founders. I started writing a multi-page analysis of what’s wrong with this book, but will settle for a shorter critique. It’s entirely fair to reinterpret history in light of one’s own prejudices, but one should respect one’s readers enough to realize that they understand what you’re doing. The cool analytical façade is a false mask. I learned long ago that one should never believe what any politician says his opponent says, believes or does. Because it will be a self-serving lie. That what politicians do; all politicians; all parties. In deconstructing the politics of the past, however Sehat transparently justifies ignoring not only the Founders but the Declaration of Independence and the Constitution, reducing them all to stage props for whatever snake oil each politician is peddling at the moment. The value of this book, and how it earned a two-stars, is Sehat’s analysis of those he approves, most notably Andrew Jackson, Woodrow Wilson and FDR. World War Two and the Cold War never happened; in fact, foreign policy is not mentioned. He barely mentions the administrations of Eisenhower, Clinton and Obama, he’s so focused on deconstructing Reagan and the Tea Party. Why? Perhaps because they dared to question whether Washington was not the solution, but the problem. To Sehat that is anathema. 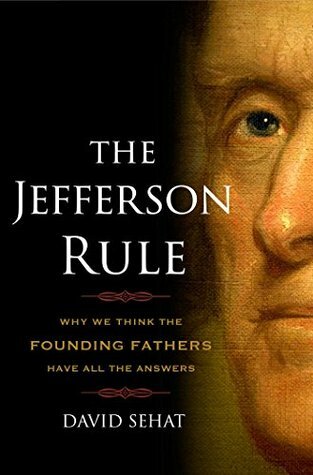 The Jefferson Rule seems to be: whatever works works. Disregard principles or history. Use them, but don’t believe them. Turns out, Clint Eastwood (producer and director) does a good job capturing the monomania of the lead character and the destruction he wrought both in combat and at home. War costs those left behind almost as much as those who go; something those who go seldom understand. (We understand that those at home don’t understand what those in combat experience.) This point is emphasized in a scene when Chris (midday in Iraq) is talking by cell phone to his wife Taya (midday in Texas). His convoy is jumped, and he drops his phone to do his duty. Taya is left listening to the explosions, shouts and shooting. Eastwood does remind us of the plight of the Iraqis caught in the middle. Since we cut and ran, those Iraqis who helped us most, the embedded interpreters, are been left to the vengeance of their radicalized neighbors. America won’t even give them asylum. People like Winston Churchill and George Washington, who are thrilled to have bullets flying around them, are demonstratively crazy. War is hell. That humans practice it upon other humans is proof of our fallen nature. That some people are so protective of nation and friends, that they put themselves in harm’s way to protect them, is humbling. Yes, somethings are worth fighting to defend, but we shouldn’t go looking for fights. That’s being a bully; something Chris’ father taught him not to be. 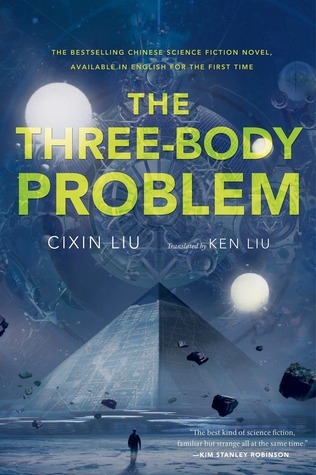 Not that beauty contests like the Hugo awards mean anything (especially this year), but glad to see it won one. That also may be said of modern Christian writers trying to communicate the path of love and faith. This classic of faith has inspired Christians and non-Christians for over three hundred years. This particular edition is “updated for clarity and readability.” It succeeds. 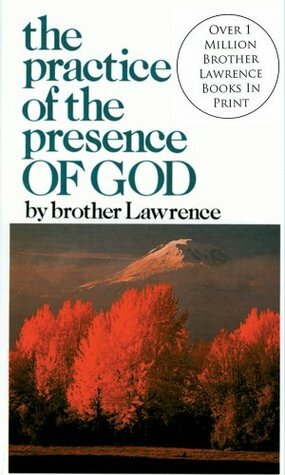 Older translations which fail to convey the simplicity and depth of Brother Lawrence’s message. Think: The Matrix meets The Time Machine with a more likable protagonist than either. Lara is a believable person thrown into unbelievable circumstances, and we’re dragged along. She responds with intelligence, even as she suffers confusion and doubt. The romantic interactions and depicted violence are age appropriate. Her determination and self-sacrifice more than offset her missteps. The plot is necessarily convoluted, though (spoiler: the purple-haired woman’s identity was readily apparent. Telling you that much is a spoiler). A quick, enjoyable read. Perhaps not four stars on any absolute scale of literature, but compared to similar young adult offerings. 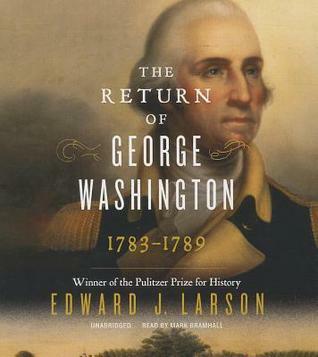 While this volume purports to be a biography of Washington during the critical gap between his service as Commander of the Continental Army and his inauguration as President of the United States, it in fact spreads far beyond in time and subject matter. For example, many pages are devoted to the Constitutional Convention with hardly a word about Washington. Larson’s scholarship lays one popular (though widely disbelieved) myth to rest, that of the war-weary Washington retiring to Mount Vernon and not involving himself in politics until his nation called him to serve as its first President. Even before he left New York City upon resigning his commission, Washington was concerned that the new country’s weak government until the Articles of Confederation. That his concerns were expressed privately rather than publicly reflected the nature of the man, and followed his lifelong pattern. Washington vigorously pursued improving himself and his estate, but he also recognized that his prosperity and that of the nation were fused. His life is a study of a man very aware of the unique position he occupied and imbued with the sense of destiny in his future. A good book, well written. Popcorn for the brain … buttered and salted. 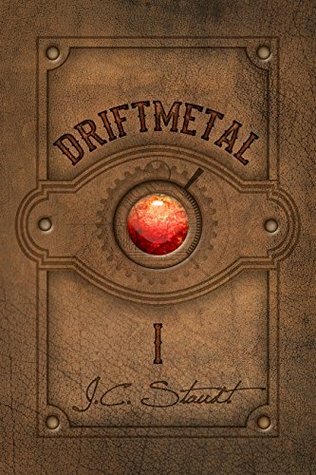 A fun steampunk romp through a different world, where there is no “world” and there are two species of humans–unmodified primitives and the “normal” enhanced folks. Muller Jake is one of the latter, as well as something of a rogue. Think Han Solo with R2D2 and 3CPO options. 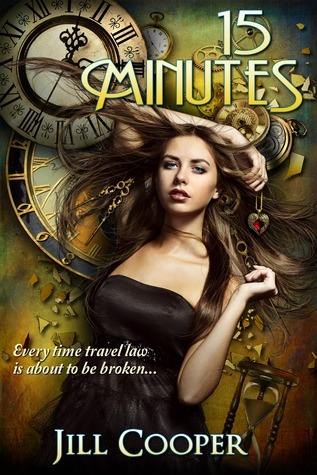 An admitted “serial novel” this one pauses rather than ends, but Staudt gives the reader a better-than-average conclusion for this opening episode.